Copyright © 2019 Anica Lewis. 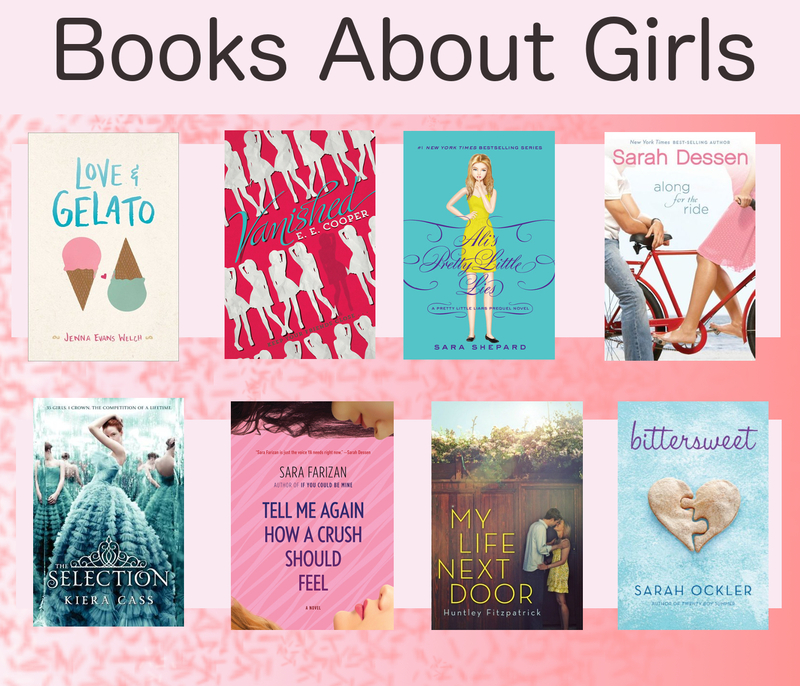 I just saw another post lamenting the silly – but unfortunately common – idea that boys can’t be expected to read books about girls, even though girls commonly read books about boys. (In fact, we’re often required to, for school.) I’ve written about this before. So has the excellent Shannon Hale. It strikes me that part of the issue may be that people have different notions of what “books about girls” or “girl-centric books” are. When we say “it’s a problem that boys aren’t expected to read books about girls,” I think we usually mean “books with female protagonists.” At other times, though, “books about girls” may be used to mean “books about the experience of being a girl” or “books designed to appeal to girls” (which usually means they are about romance and/or close female friendships, possibly with a side of fashion and gossip).
. . . may turn off a lot of boys. It turns off a lot of girls, too. Others love it. Some boys love these books, too, or would if they felt they were allowed to. The boys and girls who do want to read these books should be able to enjoy them without judgement, but I wouldn’t argue for pushing people to read them any more than I would argue for pushing them to read sports books or mysteries. It’s nice to at least try it out, to broaden your horizons, but if you don’t like it, that’s fine. These books range from horror to humor, from fantasy to romance. There are mysteries. There is action. There are comics. The settings are different. The tones are different. The protagonists are very different people, with one thing in common: they are female. If that’s enough for a reader to say, “ew, girl book, I won’t read that” – or for a parent to say “my son won’t read that” or a teacher to say “the boys in my class won’t read that” – then society, we have a problem. In case anyone’s curious, I’ll list the books here. All are books I’ve read and enjoyed. 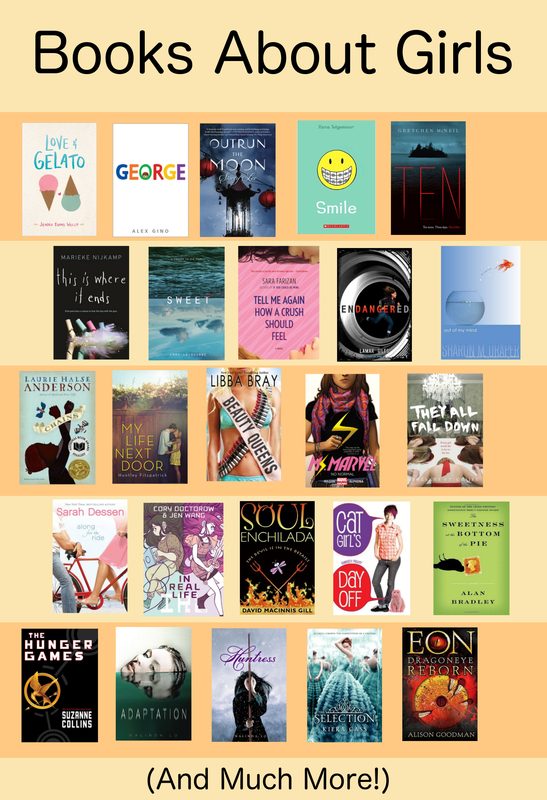 I went with mostly YA (with one or two MG) both because that’s my own reading preference and because kids and teens who are reading these books so often fall victim to this weird genderization of reading preferences.